How can we best use your skills and talents? Please help us find a fit for your talents. Use the check-boxes below to indicate your interests or areas of expertise. Other interests or areas of expertise? 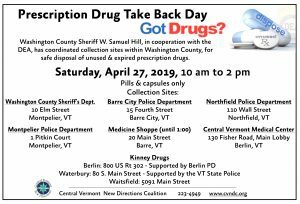 Availability: Please help us match our needs to the time you have to commit to prevention work in Central Vermont. Use the check-boxes below to give us a sense of your availability. 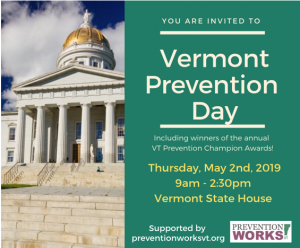 Thanks sincerely for your contribution of time and energy to the prevention of substance abuse in Vermont. All of your efforts are appreciated! We’ll review your information and contact you as soon as possible.